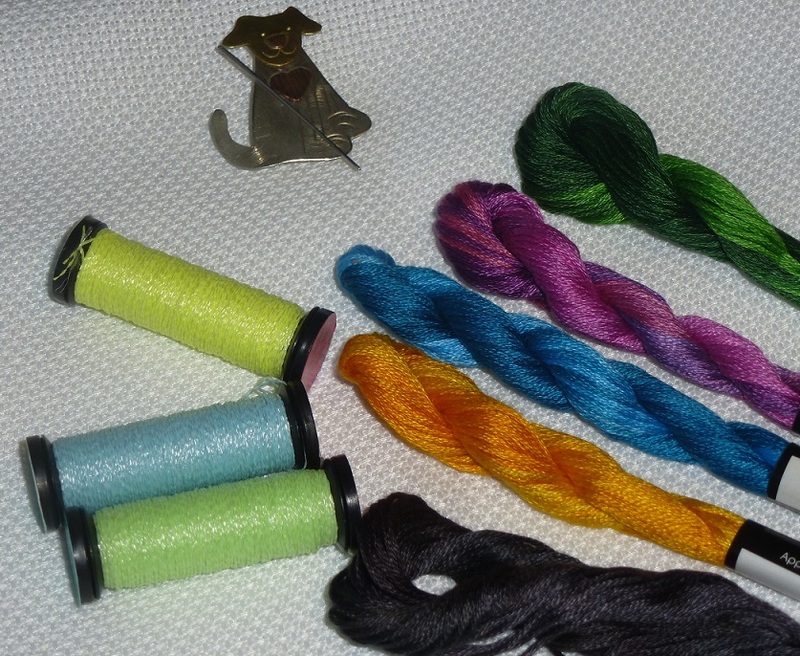 Gather your materials: colourful silk or cotton floss, (blackwork doesn’t have to be black) Aida or Evenweave fabric, scissors, and a tapestry needle. 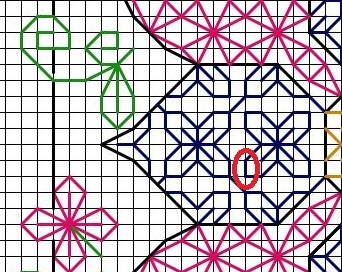 If you are using the same colour for both the outline and the fill pattern, then use two strands of floss for the outline and one strand of floss for the fill pattern, so that there is some contrast between the two. 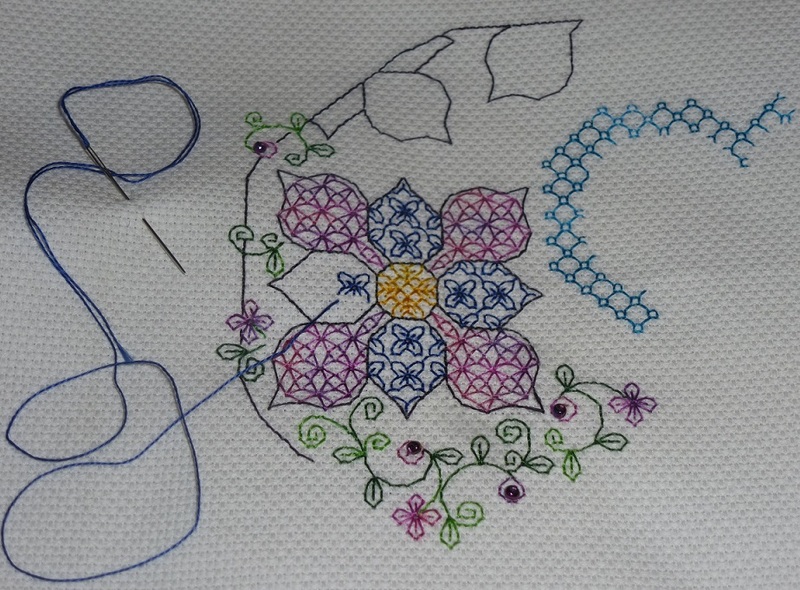 Continue stitching the fill patterns. If you’ve ever cross-stitched, then you will recognize this as a backstitch. 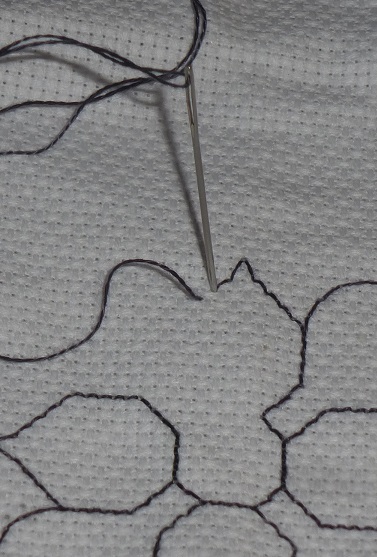 The traditional stitch for Blackwork embroidery is a Holbein Stitch, where you skip a stitch after every stitch, then turn around and fill in the missed stitches. 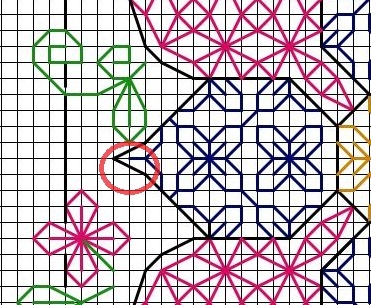 This allows you to create the same pattern on both sides of the fabric. 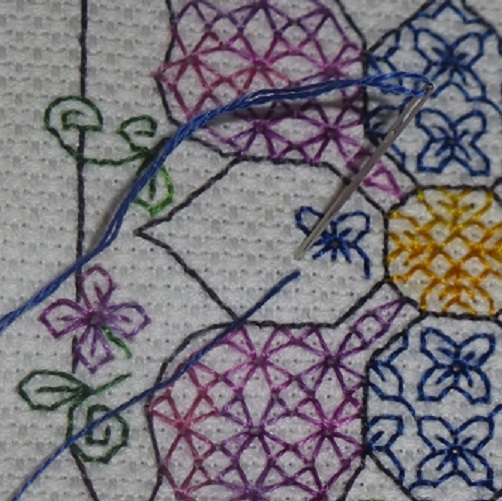 When working with variegated threads, I find it easiest to stitch a backstitch because this keeps the stitches grouped together, and the colour changes in the floss flow nicely. 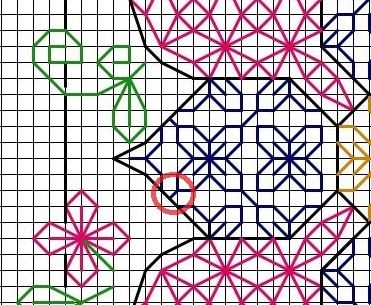 There are free patterns here and also here, to give you a start.